Hands Down the best place to farm is along the edge of The Dead Mire in Zangermarsh killing Marshrock Stomper and Marshrock Threshalisk. Tried farming in both Hellfire and Terrokar and the drop rate was terribad. 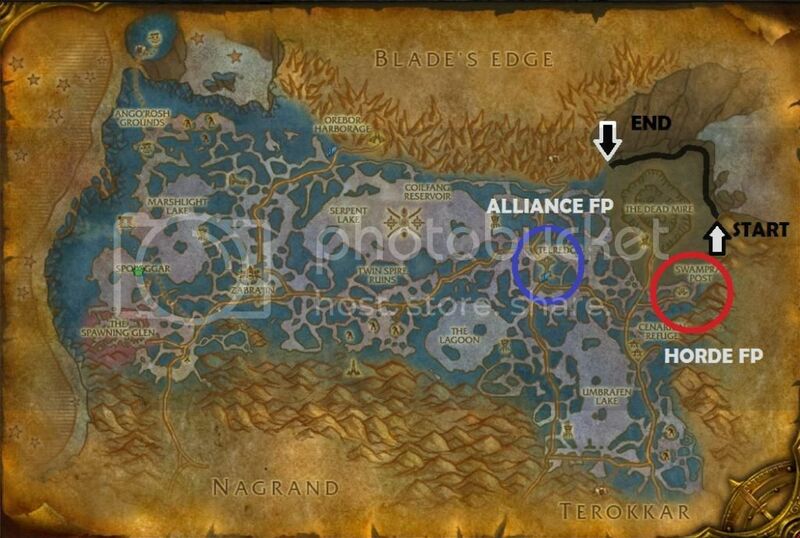 Give and take some luck, I'd say the rate of getting Fel Scales is not too different from both sites. However, one may have other consideration regarding other materials. For anyone that is leveling LW and finds themselves needing Fel Scales to push to 350. I suggest going to Blade's Mountain and killing Shard-Hide Boar. They have the best drop rate and there are a good amount of them. Decided to farm Fel Scales since the AH showed zero and I needed exactly one. Yes, just one. I have played a hunter with Leatherworking/Skinning since classic wow and Fel Scales have usually been a pain (introduced in Burning Crusade) to get with servers being busier when these scales were in demand. I decided to try the Marshrock Stomper and Marshrock Threshalisk in the very north of the Dread Mire in north east Zangarmarsh, as suggested by some above posts.